We have had the odd angler fishing our beats over the last couple of weeks and although we have not landed a fresh fish yet i would hope to see the first fish come off the river over the next few weeks. The next rise in water should offer a chance of a fresh fish especially as we move into May. 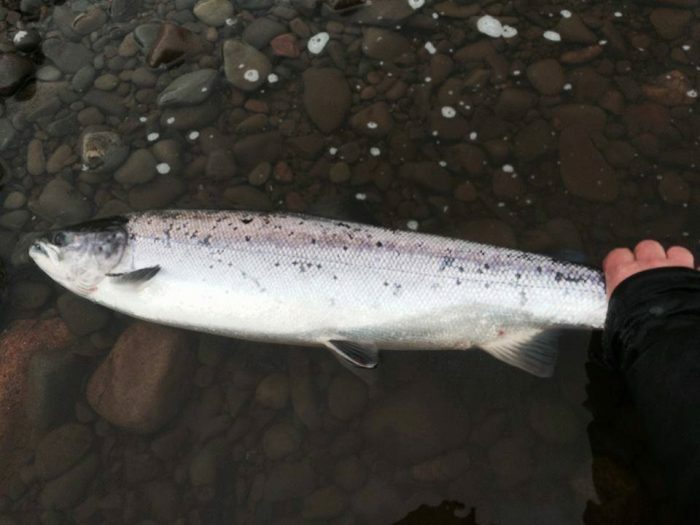 The fish in the photo below is from the 4th of May 2016 from Dnagart on the Dalreoch beat but i had already lost another fish the pervious week.